London University and Edinburgh University Business School, UK. Professor Etzkowitz is a scholar of international reputation in innovation studies as the originator of the 'Entrepreneurial University' and 'Triple Helix' concepts that link university with industry and government at national and regional levels. As President of the Triple Helix Association, he is at the centre of a unique international network of several hundred scholars and practitioners of university-industry-government relations. Henry is also the co-founder of the Triple Helix International Conference Series, which has produced a series of books, special journal issues and policy analyses since it started in Amsterdam, 1996. Prior to coming to Stanford, he held the Chair in Management of Innovation, Creativity and Enterprise at Newcastle University Business School, UK and served as Visiting Professor in the Department of Technology and Society, School of Engineering and Applied Sciences, Stony Brook University, US. He has developed several innovative concepts for university-industry-government linkages together with colleagues in the Triple Helix Research Group at Newcastle University Business School, including: (i) the 'Professors of Practice' (half-time dual positions in high-tech firm and academia held by high-tech entrepreneurs with academic backgrounds and research interests), implemented with the support of the Regional Development Agency One Northeast as a signature feature of Newcastle Science City; and (ii) the 'Novum Trivium', a undergraduate degree program proposed as a contribution to the Bologna process, which combines a specialized academic field (e.g. science, arts, engineering, etc. ), with training in entrepreneurship and innovation and a foreign language and culture. Professor Etzkowitz is the author of Triple Helix: University, Industry Government Innovation in Action (Routledge, 2008), MIT and the Rise of Entrepreneurial Science (Routledge, 2002) and co-author of Athena Unbound: The Advancement of Women in Science and Technology (Cambridge University Press, 2000), Public Venture Capital (Harcourt, 2000), and Universities and the Commercialization of Knowledge: New Dimensions for the 21st Century (Cambridge University Press, In Press). Recently he co-edited The Capitalization of Knowledge: A Triple Helix of University-Industry-Government (Edward Elgar, 2010) (with Riccardo Viale). He publishes regularly in Research Policy, Science and Public Policy, R&D Management, European Planning Studies and Minerva. With a Ph.D. in Science and Technology Innovation from Northeastern University of the P.R. China and a B.S in physics, a Master's Degree in science education, in recent years Dr. Zhou does interdisciplinary research in innovation (especially university-industry-government triple helix model for innovation) entrepreneurship, entrepreneurial universities, as well as other topics in science and technology innovation. 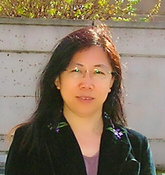 Based on her education background in China and joint research at STS Research Center of Tsjinghua University in China, STS Program at Stanford University (Aug. 2004 - Aug. 2005 ) as a visiting scholar, Stony Brook University, Newcastle University in the UK and Complutense University of Spain as a visiting professor, as well as academic exchange at MIT, Harvard University, Boston University, UC Berkeley, etc., she compared the innovation in the USA, UK and China, invented “government triple helix “, science and technology field”, “triple helix field”, “triple helix twin” conception, with Prof. Henry Etzkowitz. Also she summarized three kinds of triple helix models for regional innovation: “university-pushed model” in the US, “government-pulled model” in China and “corporate-led model” in some countries such as German, Sweden and South Korea. Since 1998, she has published 18 papers in English and 33 in Chinese, as well as two books, three translation books and three chapters for books in English and Chinese. She contributed to an Entrepreneurial University Special Issue for Science and Public Policy as a co-editor in January of 2009. Before she settled in the USA, she has worked for the universities in China for over 20 years, for the IITH of LaSalle Innovation Park (Director, two years) and the ICEI of Complutense University (one year) in Spain, and also worked for Mid-University of Sweden for a book project (one year). Now still as the director of the International Institute of Triple Helix she commits herself to making more contribution to triple helix study, to find the dynamic mechanism of triple helix –how/why university, industry and government interact, as well as exploring the triple helix sustainable development with university, government and public actor, that is, “Yin triple helix”, excepting for the “Yang triple helix”. Especially, she is trying to find ways to do comparison in innovation among Europe, China and the USA , focusing on knowledge-based innovation and entrepreneurship. Tapan is former Chief economist for the Capital Corporation of the West, and Pacific Gas and Electric. His expertise covers regional economics/innovation and high-tech entrepreneurship. His work focuses on Silicon Valley and the California economy, the factors that support and sustain innovation/entrepreneurship and the formation of high-tech firms. His broad networks cover industry, government, academia and the non-profit sector. He has published numerous books on regional innovation/economies, e. g. Public Power in California (with Bradshaw), Innovation: Key to America's Prosperity and Job Growth (with Ahlquist ) and What Makes Silicon Valley Tick? : The Ecology of Innnovation at Work (with Westwind and Mpa). Michael Clouser is an academic entrepreneur. His research interests surround the triple helix of university-industry-government interaction, innovation and the entrepreneurial university, and the supply of entrepreneurial risk finance and policy. 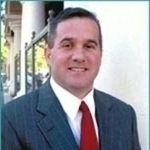 He has experience teaching face-to-face and online courses including entrepreneurship, technology entrepreneurship, hospitality entrepreneurship, digital marketplaces, business and public policy, customer service strategy, hospitality operations, marketing, turf management, asset management, market research, venture finance, and others. He’s also spun companies out of universities and started research companies. He was the CEO of Cornell-affiliated Student Agencies Incorporated in Ithaca, New York. Run by students, the firm had 14 operating companies, $20 million in real estate assets, an incubator, and student venture fund. Clouser has entrepreneurial and management experience from the following roles: venture capitalist with Dot Edu Ventures in Palo Alto, California; associate with the Edinburgh-Stanford Link in Edinburgh, Scotland; co-founder of internet and research firms including iLodging; business development director with GeoTouch; direct of franchise sales with Cendant; turnaround Hotel General Manager with brands such as Hampton; and instructor with eCornell.He has taught at the universities of Cornell, Edinburgh, Lynn, Trento, Stanford and Royal Roads. Clouser holds a BS from the School of Hotel Administration, Cornell University, an MBA from the Johnson Graduate School of Management, Cornell University and an MSc from the Business School, University of Edinburgh. He is a PhD candidate with the Business School, University of Edinburgh.